There’s an indication this isn’t your average martial arts movie right away, during the opening credits. Normally, the names of the people will just pop up, unaccompanied by any other information; but in “Bloodfist”, we get the martial arts qualifications of the main cast too. I want to see this in every movie – if Meryl Streep’s next role is a doctor, the opening credits should have “Meryl Streep – First Aid Badge, 1965” on screen. When the producer’s name comes across the screen – “Roger Corman” – things become a bit more understandable. He’s a master of low budgets and less-than-original plots (sort of like The Asylum, if they weren’t scum trying to rip off both the public and their own staff), and this is a fine example of the many films at the time that were what I’ve suddenly decided to call TMAMPS (Typical Martial Arts Movie Plot). “Star’s brother competes in some shady underground fight league, usually overseas. Brother dies due to illegal move or cheating from Big Bad; star goes to find out what happened to him. Star has to learn a new martial art from a local trainer to compete in the fight league and overcome the Big Bad”. 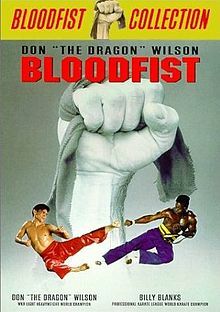 This basically describes a very large group of films, including hits like “Kickboxer” from a year or so before this one. Never let it be said that Roger Corman missed a trend! 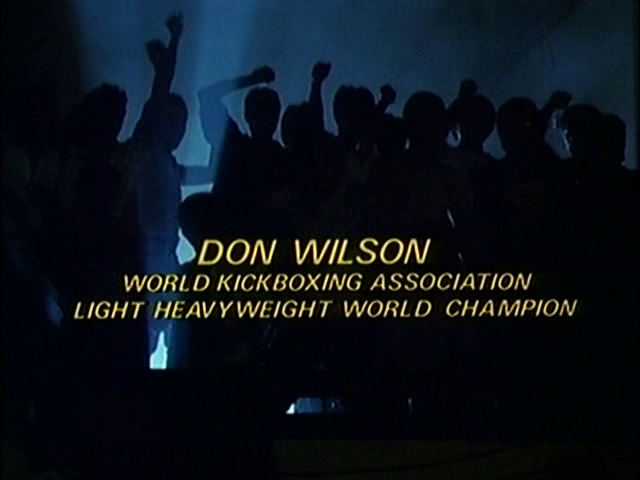 He’s also a good judge of talent, hiring Don “The Dragon” Wilson, right up there with the best martial artists to have ever transitioned to film, and a surprisingly capable actor even this early. He plays Jake, co-owner of a self-defence gym and retired fighter, and at the point when most movies of this sort have barely gotten going, “Bloodfist” already has Jake in the Philippines, meeting his brother’s old trainer and getting into scrapes. One important thing I’d like to discuss is the prevalence of death in these fight leagues. Rivalries build success, and rivalries are difficult to build up when your main fighter is murdering his opponents in front of hundreds of witnesses. Plus, if you’re an up and coming fighter, would you take a lot of money to go to the Certain Death Federation, or would you take less money and go to a tournament which had referees and someone to stop your opponent from breaking your neck after he beat you? It seems like an unsustainable business model. The film rips along at a decent pace. Jake meets Baby, one of the other competitors in the Red Fist gang’s Ta Chang tournament, who also acts as the movie’s comic relief; Baby’s sister Nancy, an “exotic dancer”, who he falls in love with; and Kwong, the trainer. Baby introduces him to the other fighters as they walk round the big gym where they all train, which means we don’t have to worry about them acting (Blanks, mercifully, never opens his mouth) but we get to see the varieties of martial arts on display. The main running joke is that, despite looking Asian, Jake has zero idea about Oriental culture, unable to use chopsticks and knowing none of the language or customs. The fights themselves are…not great. They may be interesting, and there’s all sorts of styles clashes going on, but the director has chosen to speed them all up to a ludicrous degree, so everyone looks like…well, they’re on speeded up tape. Unless they were deliberately working slowly during the filming, it makes no sense to do this, as it’s fake as hell. I’d honestly rather just have normal-speed fights that look a bit crappy. Who betrayed Jake’s brother? Do you think a boxer (Jake’s professed style) could learn kickboxing well enough to compete against the world’s best in three weeks? Why is the red herring so mind-bogglingly stupid? These and other questions will be answered when you watch. It’s not a bad film, either. Moves at a decent pace, not too long, a leading man who can just about act, and we’ve got 8 more of these to go through! And part 9 is set in THE FUTURE! 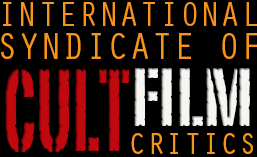 This entry was posted in Reviews and tagged Don "The Dragon" Wilson, martial arts movie, TMAMP. Bookmark the permalink.